Cory Morgan, aka y-Roc, was kind enough to send me some interesting woodwinds samples. They consisted of some unusual flutes, a native flute and a bamboo flute. Each one has a slightly different timbre to them. The samples are played with slight variations in pitch and tone, which make the finished instrument sound like an actual human played it, rather than a computer spitting back pitch-perfect robotic sounds. 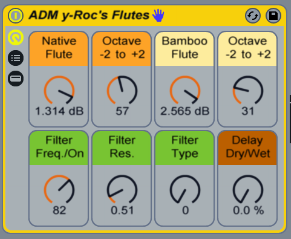 The Ableton Live Instrument Rack, pictured above, is made up of multiple samples of two different flutes. You can adjust the volumes and octaves of each, created dozens of combinations of tones and pitches. Further sculpt the sound with a variety of different types of filters. Then add a little space using a Ping Pong delay. The Delay is set to Repitch Mode and the Swing parameter is mapped to the Filter Frequency. As you turn the Filter Frequency Macro knob, you will create subtle pitch twisting effects on the delayed signal. As a special bonus, I created a drum kit by manipulating the pitch and amplitude envelops of the flute samples. The result is a unique sounding set of drums, all originally made up of flute samples! You can hear the drums accompanying the flute instruments in the demo music in the tutorial video below. More Great Stuff From y-Roc Sound! Big thanks to Cory Morgan for sending over the samples used to create these instruments. But that is not where it ends with him. He has been creating some really awesome MIDI Fighter Ableton Live Packs that I think you will enjoy. Inspired by Mad Zach of DJ Tech Tools, Cory has built a bunch of excellent sound packs you can start jamming on immediately. Although designed for the MIDI Fighter controller, the sound packs are a lot of fun on any controller. So don't just stop with this pack, head over to y-Roc Sound and add some more of Cory's excellent sounds to your production library. 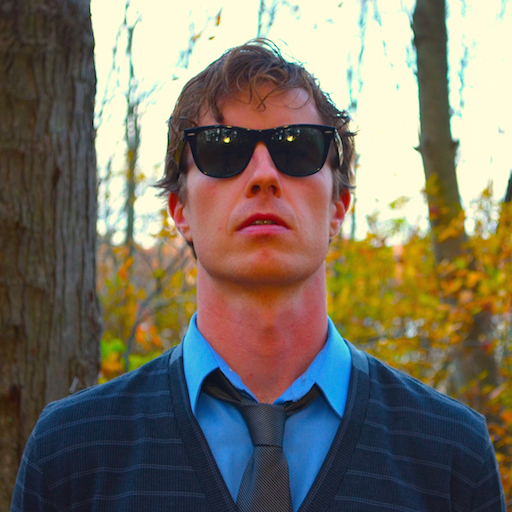 Check out some of his music at his SoundCloud page. I leave you with a beautful piece of music from y-Roc.